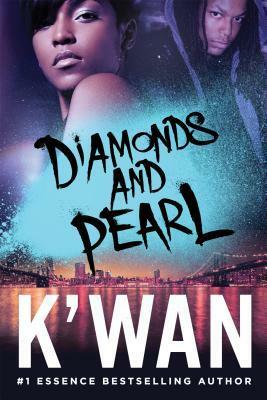 Street lit fans be sure to look out for K’wan’s October 2016 release, Diamonds and Pearl. Diamonds is an up and coming drug king pen from the backwoods, leading a team of killers and taking no prisoners. He is destined to rule the world and everything in it. Pearl is the trophy daughter of old school gangsta Big Stone, one of the top king pens in New York. On his quest to take over New York, Diamonds and Pearl connect, and y’all know it’s a wrap after that. Considering how this book ended, I am sure there has to be a follow-up. I enjoyed reading this, despite the many characters. This book has lots of characters but K’wan does a good job of weaving them all together. I also like that Diamonds isn’t your every day gangster; he’s into some otherworldly stuff, which I hope will be explored further in the next book. I also expect the relationship between Diamonds and Pearl to be further developed. K’wan fans be sure to check out this one. Diamonds and Pearl fast-paced with a bit of mystery. I was given an advanced copy from Netgalley to read and review.